When purchasing your first diamond you need to know about the sizing, grading, cut, color and other relevant information about diamonds. Purchasing a diamond is a tricky and complicated process and it needs to be executed with ease and knowledge, else you may get fleeced. 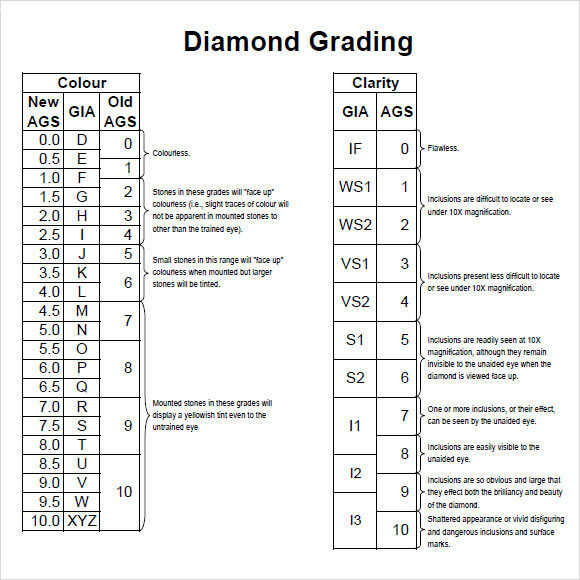 Our diamond Sample Chart Templates have been smartly and accurately designed. 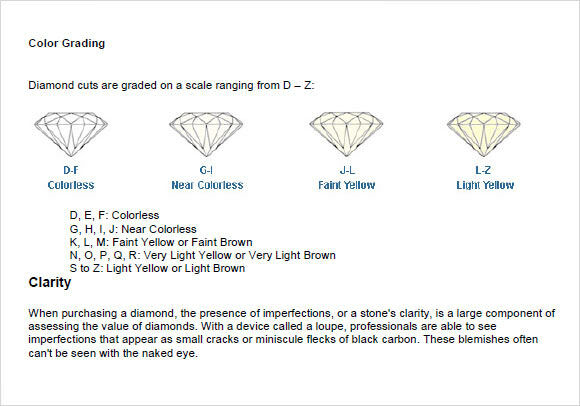 This is a comprehensive guide for diamonds and you can use it to easily determine if the seller has given the right clarity and color. It talks about the cuts and what you should look for as well as the specific things to watch out for in clarity. For those who are looking for a specific size of stone and want to make sure that you are getting the right one, then this one is perfect. It has images of each shape of diamond along with the size of the gem. 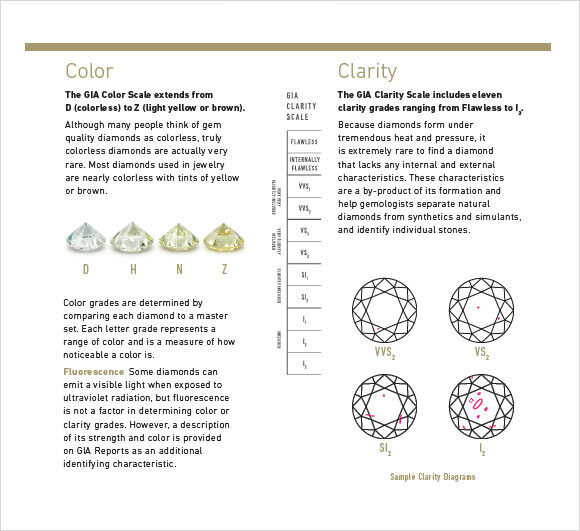 If you are extremely worried about the color and the clarity of the gem that you are looking to purchase, then this is a good chart. It has details about the color and clarity, including what to look for in each. When you are shopping for a diamond, then you should make sure that you are informed, especially if it is your first time. You should make sure that you know what size that you are going for and these charts can help you to know the correct measurements. Also, it can help you to determine if it has been labeled correctly in terms of cut and clarity and what to look for to make sure.You can also see Process Chart Templates. 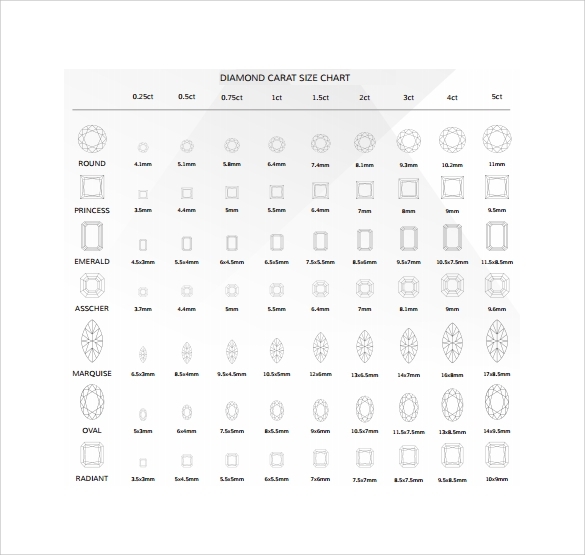 When To Use A Sample Diamond Chart? 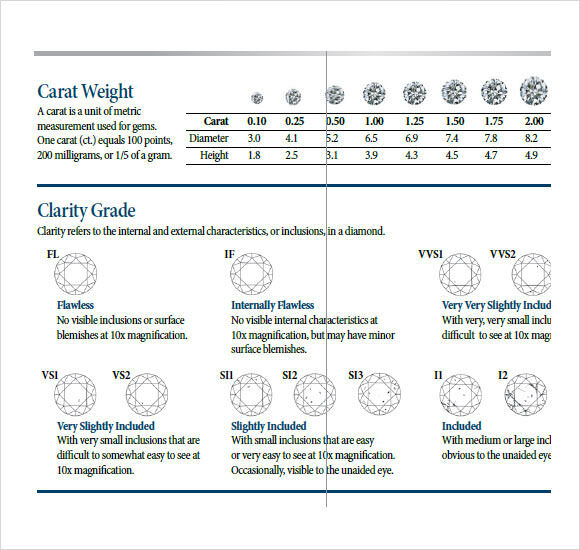 These charts can be used whenever you are looking at a gem, especially when you are going to buy a good sized one. Make sure that when you are looking for a ring, bracelet, necklace or other piece of jewelry that you know what to look for in the gems. These charts can help you to ensure that you are getting what you are looking for without being ripped off or given something that is inferior. You don’t need to carry it with you, but a simple look will help you to understand what you are looking for. Why Use a Sample Diamond Chart? 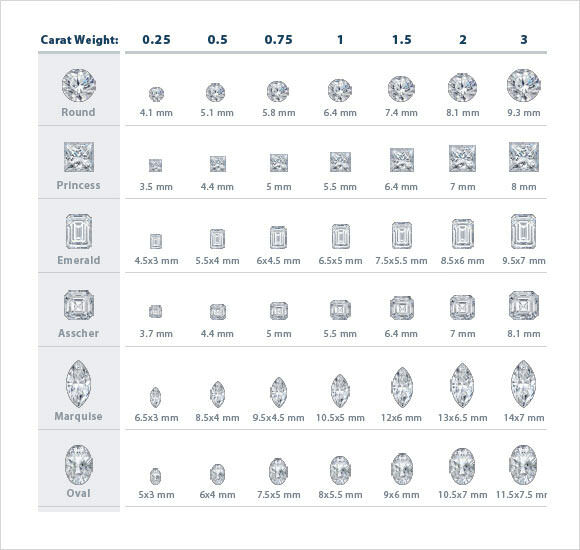 When you are selecting a diamond it can be hard to know whether or not the it is listed under the proper categories, especially if you aren’t buying from a jewelry shop. You should make sure to use this to check out the gem and ensure that you are getting the best for your money. Don’t just take the word of the seller, but make sure that you look over the diamond closely for any flaws or changes in color that aren’t listed by the seller. You can also see Color Charts Templates.